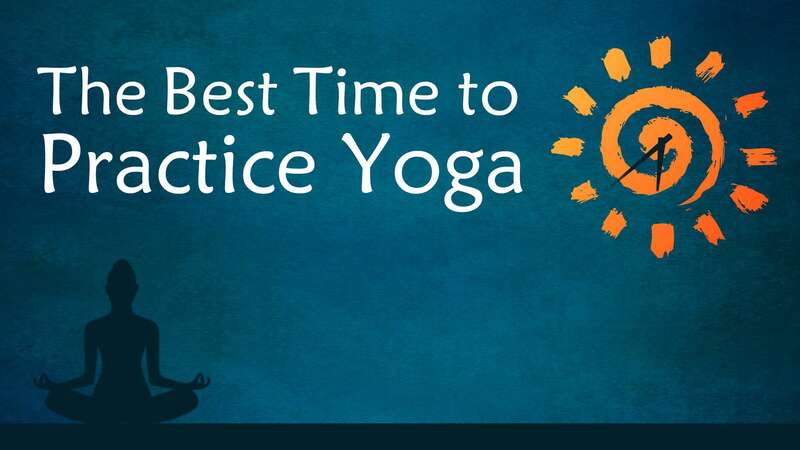 Because yoga evolved in tropical climates in India, we always said that all yogic practices must happen before 8:30 in the morning or after 4:00 or 4:30 in the evening. When your energies are in a higher realm, your body will function at an easier pace. We can prove this to you in a matter of three to six weeks – if you do certain practices and get your energies to a certain level, your physiological factors will settle down and go at an easier pace. When your energies are low, your body tends to go at a higher pace to keep the life process going, which will deplete the system. If your bodily functions go at a certain speed, your mind will go crazy, and above all, it will reduce your lifespan. We are conscious that doing practices will raise the ushna in the system. If the temperature outside is high and the ushna rises beyond a certain point, it will cause cellular damage. That is why yogic practices are always to be done in the cooler hours of the day. Between day and night, there is a transition that reduces the friction within the system, and therefore, the practices will generate less ushna. Because yoga evolved in tropical climates in India, we always said that all yogic practices must happen before 8:30 in the morning or after 4:00 or 4:30 in the evening. With yogic practices, you are trying to remold yourself. You may have great regard and respect for your parents, but you do not want to end up just the way they made you, or just the way they are. You want to be something different or something more. If you only psychologically and emotionally remold yourself, at some point in your life, you will fall back. There are many people who, when they were 18, said “No way!” and rebelled against their parents, but by the time they are 45, they walk, sit, talk, and behave like them, because mental changes will only go that far. If you want to be a being of the future, it is necessary to remold the fundamentals of who you are. That is what we are trying to do with yogic practices – we want to remold ourselves into something entirely different. Attitudinal changes will not last. After some time, as life situations change and you become less conscious, you will fall back. If you say you are the way you are because your father was like that or because it is in your genes, you are saying you are a creature of the past. If you want to be a being of the future, it is necessary to remold the fundamentals of who you are. That is what we are trying to do with yogic practices – we want to remold ourselves into something entirely different. If you are looking for dramatic spiritual progress, you must do your yogic practices before sunrise, which usually means starting the practices at the Brahma Muhurta, which is the last quarter of the night - anywhere between 3:30 a.m. to 5:30 or 6:00 a.m., or whatever is the time of sunrise. At that time, there is a certain process that you will become naturally conscious of if you do your practices in a certain way. If you are doing yogasanas, once your biology adjusts itself to the planet’s biology, every morning, you will wake up by yourself between 3:20 and 3:40. The Brahma Muhurta is the best time for you to do practices if you want to transcend your physical nature or know dimensions that we refer to as spiritual. தினமும் யோகா செய்ய சரியான நேரம் எது? 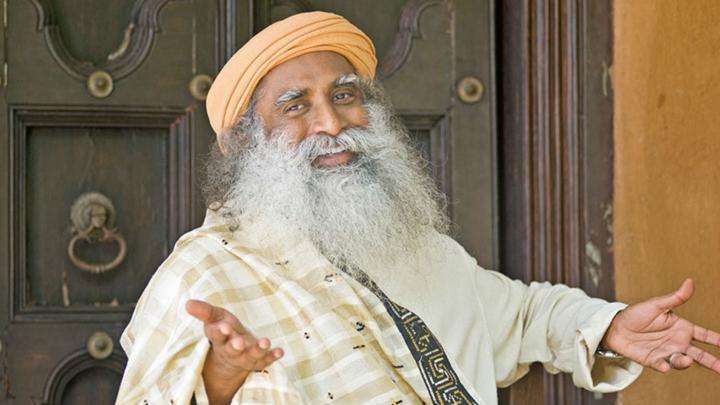 Sadhguru mentioned that the sadden during midnight time is conducive for people who are on the ascetic path and not suitable for people living in family situations. And how's that changing with winter/summer time? Wich one should I stick to? Sadhguru, do those timings apply everywhere or only in india? 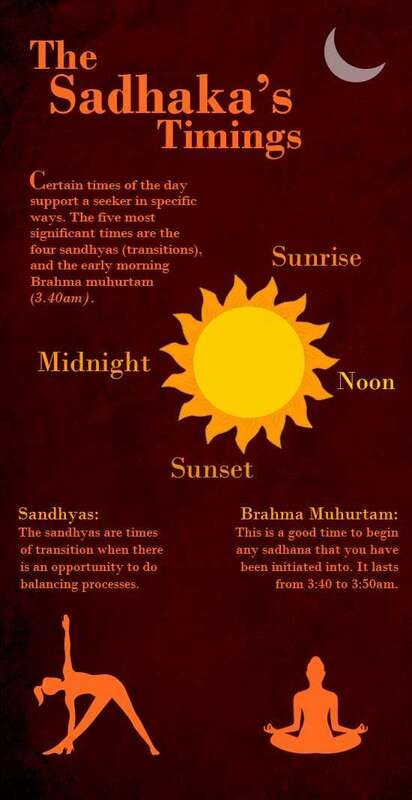 if the sun rises in my country at 7.30 how should i calculate the timing for the practices? ​Sunrise today at Bangalore was at 0634 h. Solar noon at 1216 h and sunset at 1756. @@Isha_Admin:disqus ..... kindly re-confirm and edit the article accordingly. I've been waking up at 3:30 for the last 2 days. Then I happen upon this article and today even I woke up at 3:30 just by myself. I even experienced this weird sensation when I was "awake" when I was asleep and thought that something took over my body for a time. It was kind of scary. My brain comes up with all of these things to explain what is going on and that is what makes yoga practice scary for me sometimes, because when things happen that I can't explain or that have never happened to me before, I generate some crazy reasons for them. Now that I think of it, it started when I got and started wearing my rudraksha. Is this normal? 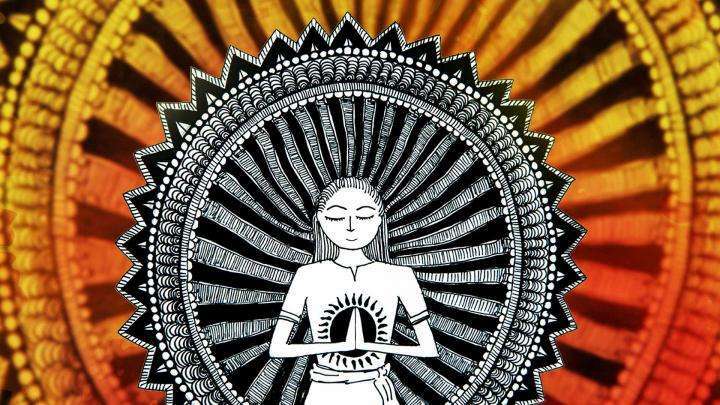 Sadhguru looks at a central detail that is relevant for all three sun-related practices – Surya Kriya, Surya Namaskar, and Surya Shakti. Skepticism and Being Open – What’s The Right Balance? Sadhguru answers a question on believing or disbelieving things outside of our experience, and speaks of how there is nothing wrong with doubt.